On September 8, 1953, 280 boys and girls began classes at South Elementary School on Golf Rd. 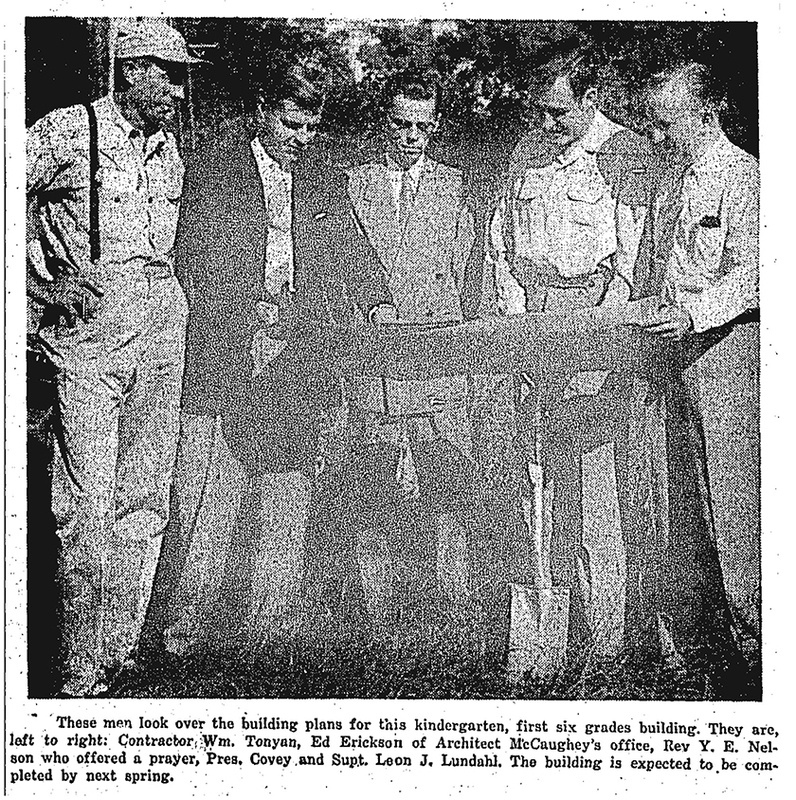 Crystal Lake attorney Robert Covey, who was the president of the District 47 Board of Education, had turned over the first shovelful of earth for the new $880,000 school on August 1, 1952. 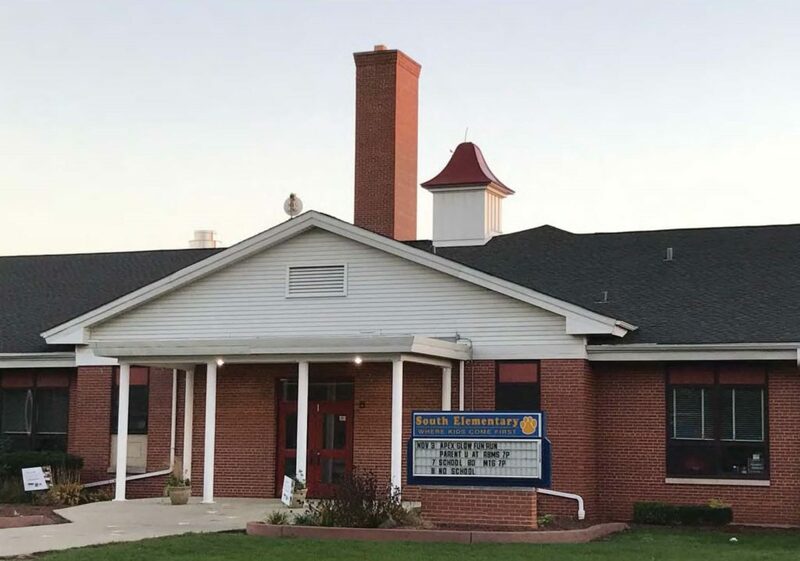 Overcrowding at Central School, now Husmann Elementary School on Paddock Street, resulted in the need for a new elementary school on the south side of town. On March 26, 1953, an advertisement in the Crystal Lake Herald stated that there were 1,062 students enrolled at Central School, with 99 eighth graders, compared to 178 kindergarteners. The Baby Boom was in full swing! John Husmann was South School’s first principal, and Mr. Husmann also taught fifth grade. Kindergarten teacher Mary Pat Schaefer moved from Central School to South School. Other teachers at South during the 1953-1954 school year were Marie Patton, first grade; Jean Ericson, second grade; Marcia Hillier, third grade; Edith Newcomer, fourth grade; and Barbara Porterfield, sixth grade. North Elementary School on Woodstock St. opened in the fall of 1954, one year after South Elementary. By May 12, 1955, the enrollment in District 47 had grown to 1,302. On June 11, 1955, Crystal Lake voters approved a $185,000 bond referendum to put an addition on the west side of South School. The vote was 453 in favor, and 166 opposed. In June of 1958, another referendum was on the ballot to purchase land behind South Elementary School for the construction of a new junior high, which was first known as South Junior High, and later renamed Lundahl Junior High in honor of long-time principal and superintendent Leon Lundahl. South Junior High opened in the fall of 1959. South School is a monument to the beginning days of rapid growth in Crystal Lake.